Pacific Coast Design owns its offices in Melbourne, Australia. PCD commenced operations as a Golf Course Design company in 1986 although its Directors were working in the Golf Industry for many years prior to that. PCD Directors and personnel have qualifications and experience to ensure Client satisfaction and maximise the success potential of a Golf Course project. We pride ourselves on working within a team environment without a dominant ego status to harness the experience of all team members and Client for the betterment of the project. Phil has been in the Golf Course Industry since the mid 1970’s and was a Golf Turf Manager / Construction Manager (Golf Courses) for seven years prior to joining Pacific Coast Design. Initially trained in Civil Engineering (RMIT), Horticulture / Landscape and Turf Management (Melbourne University / Burnley Campus) he had specialized in Golf Course construction and had been involved in a number of Projects throughout Australia and Asia. Establishing Pacific Coast Design in late 1986, Phil has combined his previous skills with computer based technology to develop an integrated approach to design concepts. Phil has extensive experience in Feasibility, Master planning and Design of Golf developments of a residential, private membership and resort nature. As a founding Director and one of the principals of PCD Phil is involved in all aspects of the planning, design and implementation of all projects and works in close association with the Client and other consultants in a team manner. PCD works include Golf Courses in Australia, Malaysia, China, Vietnam, Thailand, India and Pakistan. 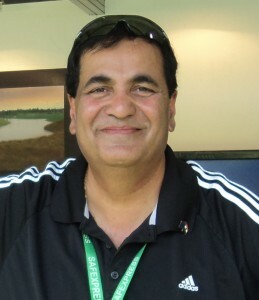 Phil is also an author with numerous articles covering all aspects of golf course design and planning as well as the book “Tee Off in India – People, Places & Golf” (2005) and a chapter titled “Prescription surface development – Golf Course Management” in the book International Turf Management (1999). Paul’s passion for the game of golf lead to him commencing work in the Golf Course industry as a teenager almost 30 years ago. Initially working in local government, he held a variety of positions on both the maintenance and management sides of the fence. 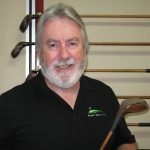 Paul moved into the construction stream of the industry in the mid 1990’s working on a multitude of golf course constructions throughout southern Australia. He was Construction Manager / Superintendent on several full constructions as well as project managing many smaller reconstructions with the relevant course superintendent. 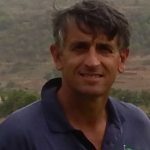 Having also completed Diplomas in both Turf Management and Business, Paul brings to PCD a passion for the game built around a background of learnt skills and practical involvement with the game and its environs. Vincent Pinto first met other PCD Directors when he was project managing the highly successful Oxford Golf & Country Club, his involvement commencing from land acquisition, government approvals, team coordination, golf construction, golf maintenance through to ongoing management. An experienced administrator, long time golfer / club member, GCSMAI life member and widely traveled Vincent has an in-depth knowledge of golf projects in the region and works closely with Clients to value add to the projects.